This is basically a masterpost filled with all the times Taylor and Tom got called in the media for stunting and being fake. Since June of 2015, our fandom has been paying closer attention to Kimby’s likes. 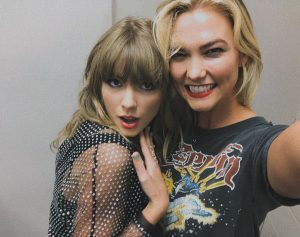 This post is going to be a compilation of her likes associated with Karlie/Taylor. Before we begin, there has been a couple excuses made up about Kimby’s likes so I want to address this right away. I constantly hear is that she’s an attention seeker. But is she really? Cause I did the math, and numbers don’t lie. This post will consist of 31 kaylor likes from Kimby. I left a few out, but I will be generous here and say she’s liked 50 kaylor tweets since last year, and trust me that’s generous. Kimby has also had her account since 2009, and has liked over 4,000 tweets. Scrolling her page took a long time so I will be generous again, and say most of these came within the last 2,000 tweets. Let’s do the math. 50 divided by 2000 equals 0.025. That means only 2.5% of Kimby’s likes consist of kaylor. If I was extra generous and, did 50 divided by 1000 that still would only be 5%, which is a tiny percentage. Kimby is going to get attention either way, she’s Karlie’s sister. It’s extremely important to note that these kaylor likes are a few and far between. Also most of these likes happen, and then she doesn’t like anything have to do with Karlie/Taylor for at the very least a month. So with her doing this maybe once a month, and only 2.5-5% of her likes being about kaylor, Kimby being an attention seeker is an incredibly weak, and invalid argument. Certain individuals like to say Taylor doesn’t even know her, yet Taylor threw Kimby and Kariann a birthday party at Omnia over their birthday week/weekend. Kimby is on a hugging basis with Tree even… Taylor and Kimby know each other. The last one we usually hear is that Kimby isn’t serious when she likes the tweets I’ve added below. This makes no sense to me because I highly doubt Taylor and Tree would let her do this if they weren’t okay with it. They micro manage EVERYTHING. This wouldn’t be happening unless Taylor was allowing it. It also debunks people saying Taylor and Karlie are uncomfortable with kaylor talk… If they were, Kimby wouldn’t be doing this. This is basically a masterpost in itself of little pieces of information that don’t really fit into my typical masterposts, but when you start compiling it, you quickly realize there’s more going on here than meets the eye. Great thing about this post is that roughly 90-95% of these are straight up facts, and can’t be disputed.